These days, there are more and more jobs for those of us who work in the creative field. One of the major perks of being a creative – writer, editor, graphic designer, or any other independent or freelance position – is that we can do our jobs from home if we choose to do so (and the company you work for allows such a luxury). 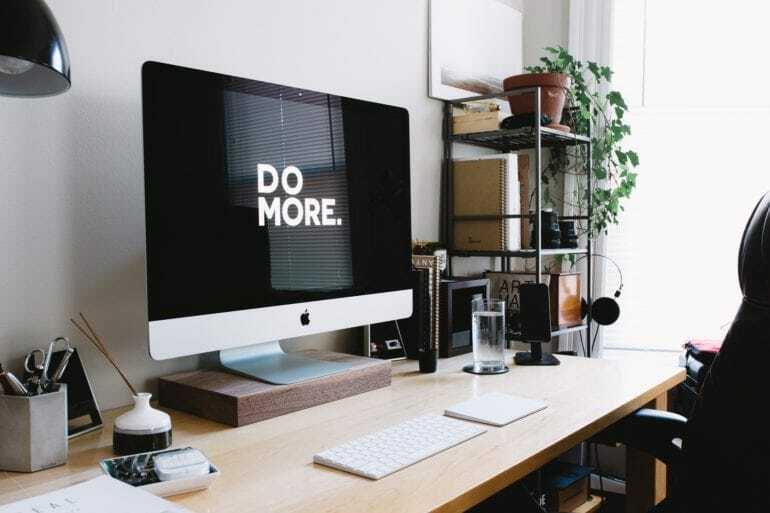 Whether it’s working from home every now and then, or on a set basis, those of us who have done so have probably found that it’s easier to get distracted or sidetracked than it is at the office. 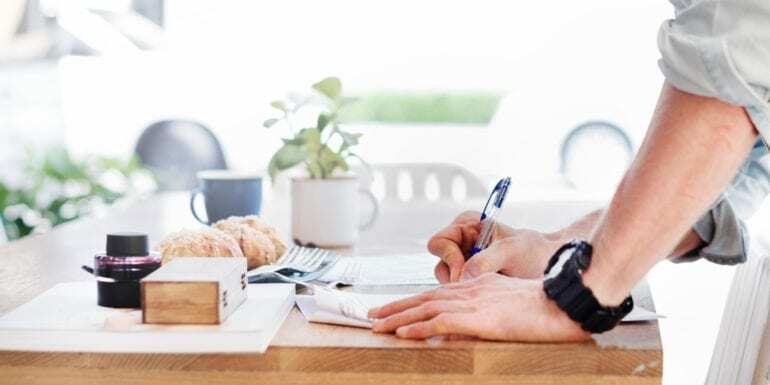 In order to work from home in a productive way, getting your projects done will require setting a certain mood and area in your home to make your work day as smooth as possible. We have listed here a how-to guide to creating your work from home environment to maximize your productivity. 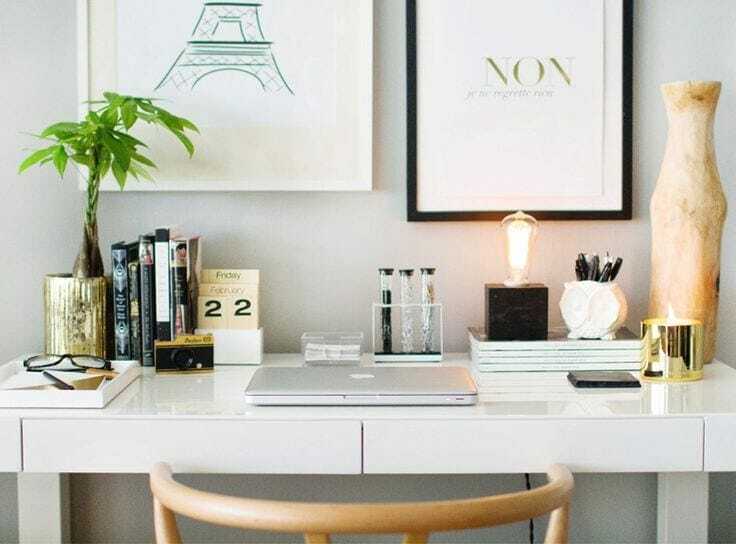 Our favorite part of the working from home style – creating your perfect workspace. Most freelancers use laptops these days, so a desk needn’t be large, unless you want it to be. This home décor section of creating the perfect work-from-home environment is entirely personalized. We have found that those who took the time to get a proper desk, office supplies that they would need, decorative accents for their desk and wall, worked more productively because their workspace represented them and what they do. Making a home office is setting aside a piece of your home for your work, designating an area for the sole purpose of working and producing what you would otherwise be doing in a regular office with others doing the very same, or similar task. Creating a space all your own for your work gives motivation to stay in the comfortable space, and increase productivity, lowering the chance of you straying throughout the day to the other (unproductive) rooms in your house. The key to working from home is to act as though you were in the office. What that means is that you would answer personal calls like you would in the office, which usually means they are short and to the point if you answer the phone at all. When deciding to take a lunch break, as you would at work, make sure you don’t make your lunch breaks hours and hours long; it’s easy to lose track of time when you’re at home. However, you should also mark the beginning and end of your work day, it’s also easy to work too many hours throughout the day. Lastly, again, as you would do in an office setting, prepare your work day according to due date and make sure your prioritization isn’t hurt by you being at home. The ‘do as you would in the office’ is leading up to this big thing: do not let yourself get distracted by household tasks. It’s very easy to decide to turn on the television so you would have some background noise (if you like that sort of thing), or decide to put in a load of laundry or start cooking something. Working from home is always going to be filled with distractions, so you have to make a point of removing them as much as possible, otherwise you’ll find yourself wasting away the days and getting nothing done. While working from home is flexible and convenient, and there are many of us who could manage doing household tasks along with our work (obviously depending on our line of work and our personal work method), most of us are unable to multitask like that and end up being far less productive than if we were in the office. If you take into consideration the tips we have given here, and try your best to implement them at home, we are sure your level of productivity will grow tremendously.